What U Like Major Lazer, Amanda Blank & Einstein! 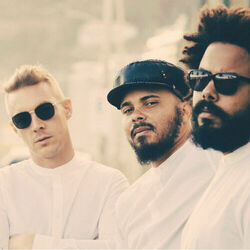 Discover more playlists and music by Major Lazer on PLAYLISTED. Like Believer (Frontliner Remix), Pon De Floor (without silence) (Radio Edit), Get Free (Chrome Sparks Remix) and Blow That Smoke (feat. Tove Lo) (E Kelly Remix).